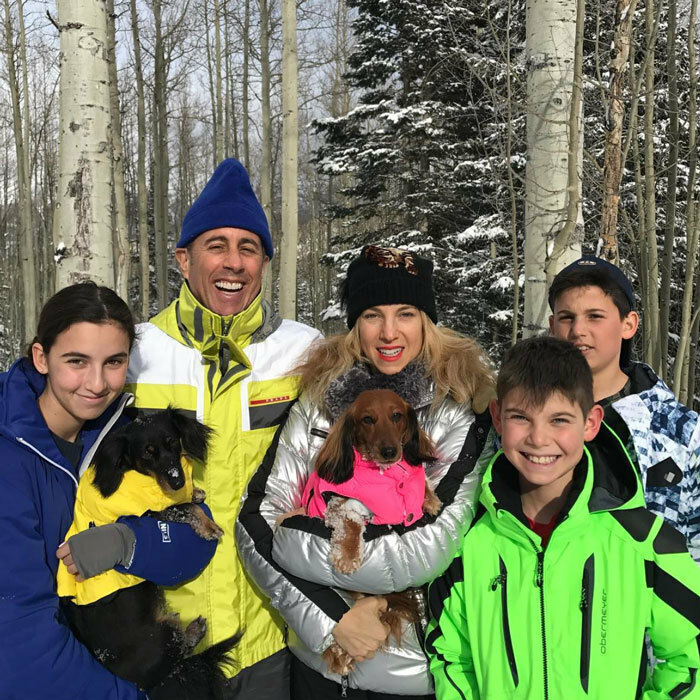 Celebrities are just like regular parents: they bake, cuddle, take day trips with their kids and love to show them off on social media. 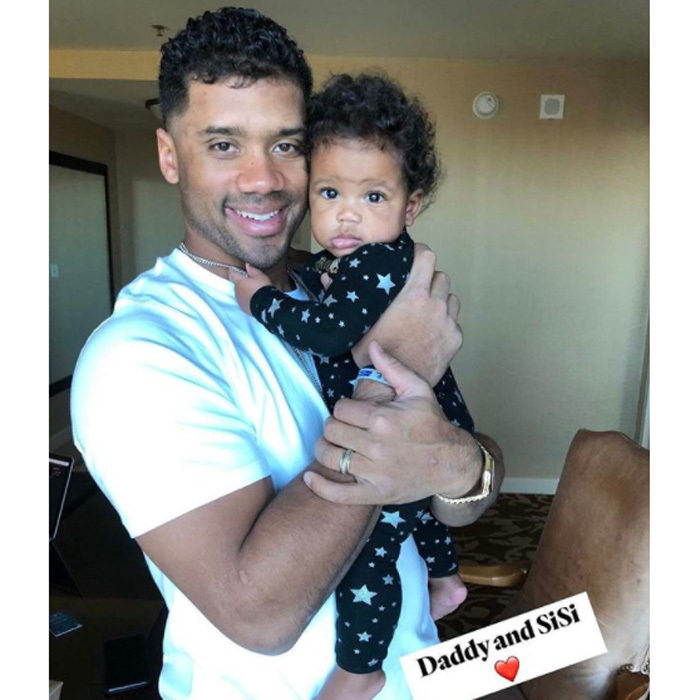 Take a look at these adorable pictures of some of the aww-worthy moments between celebrity parents and their kids. 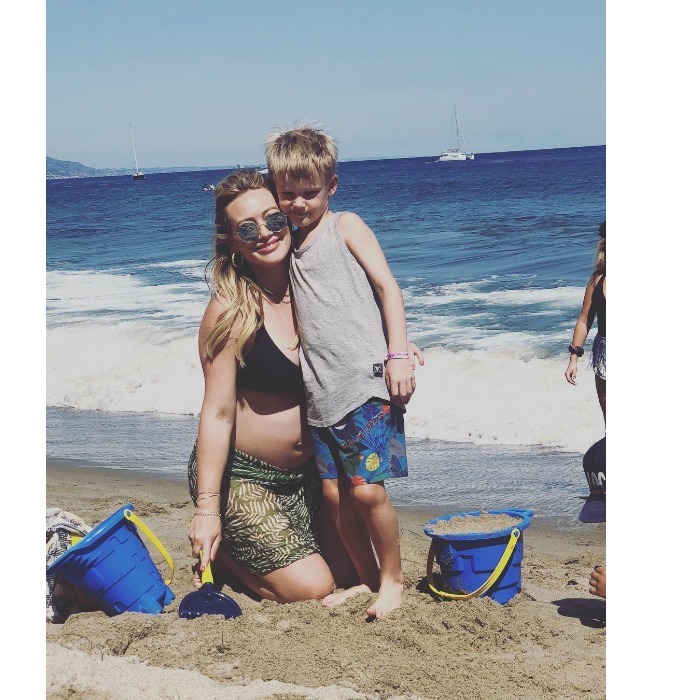 Hilary Duff had a fun beach day with her six-year-old son Luca. 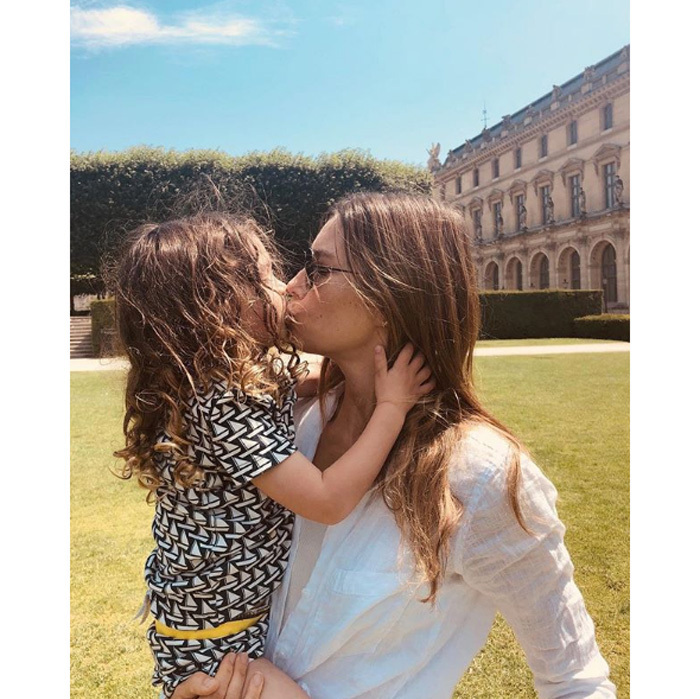 Flaunting her baby bump, the actress shared a cute snap of her and Luca posing to Instagram, writing: “My sweet sweet boy. 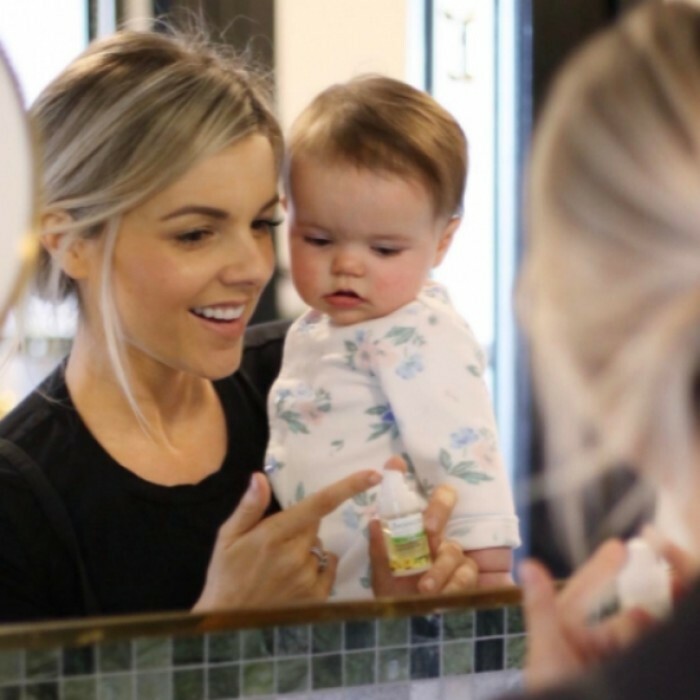 Oh the adventures we’ve had.” The pair seem to be enjoying their one-on-one time together before a new baby comes into the picture. 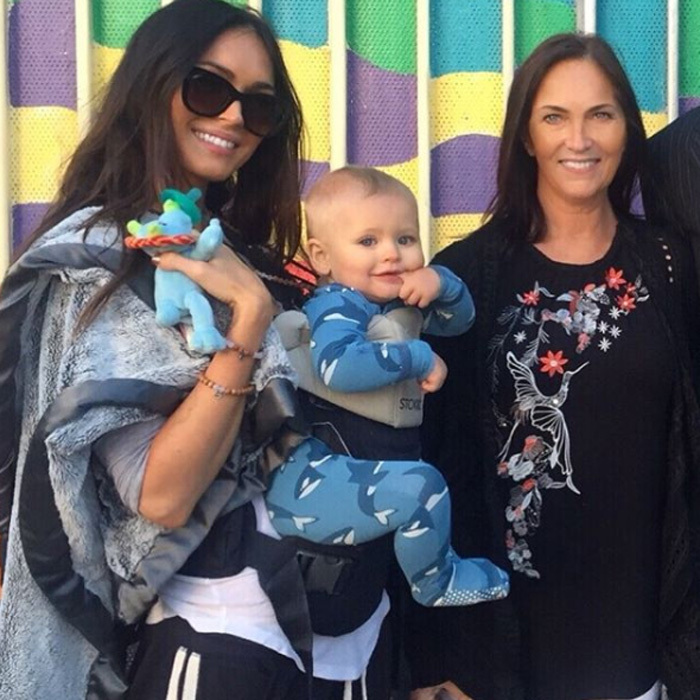 Megan Fox shared a rare photo of her and Brian Austin Green’s youngest son Journey with her mom Gloria on January 11, 2018. The mom-of-three captioned the photo of her one-year-old boy, “Clone Wars” as the trio bare an uncanny resemblance. 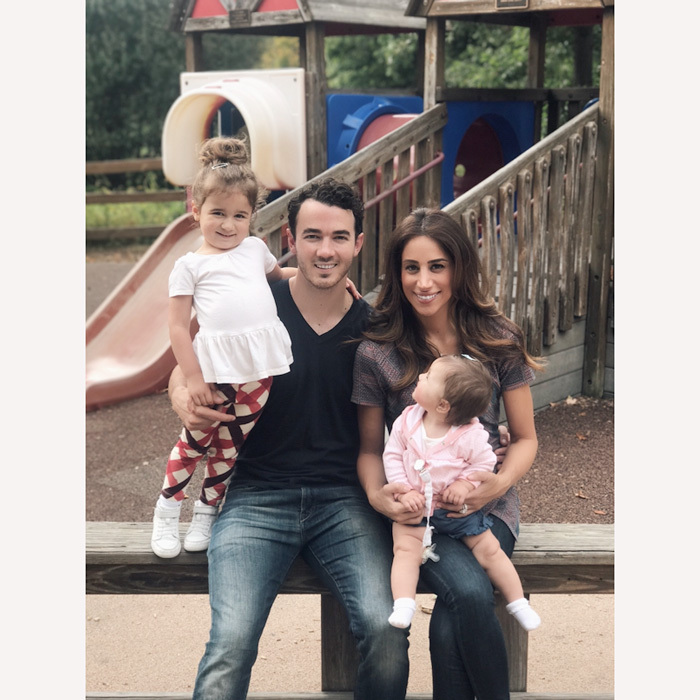 Kevin and Danielle Jonas taught their daughters Alena and Valentina about giving back during their day to kick off the Ronald McDonald House Charities Raise Love campaign. 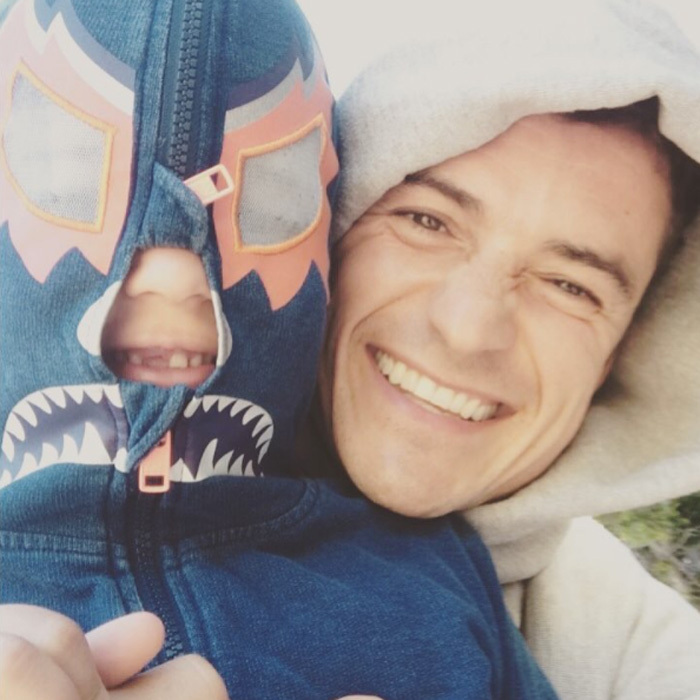 Orlando Bloom was gearing up for Father’s Day 2017 with his son Flynn. 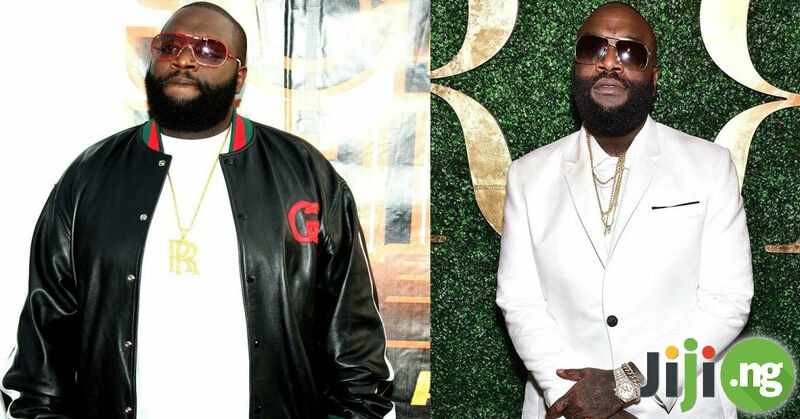 Both dad and son sported wide grins with his and Miranda’s boy showing off his missing front tooth. Prime minister and a painter! 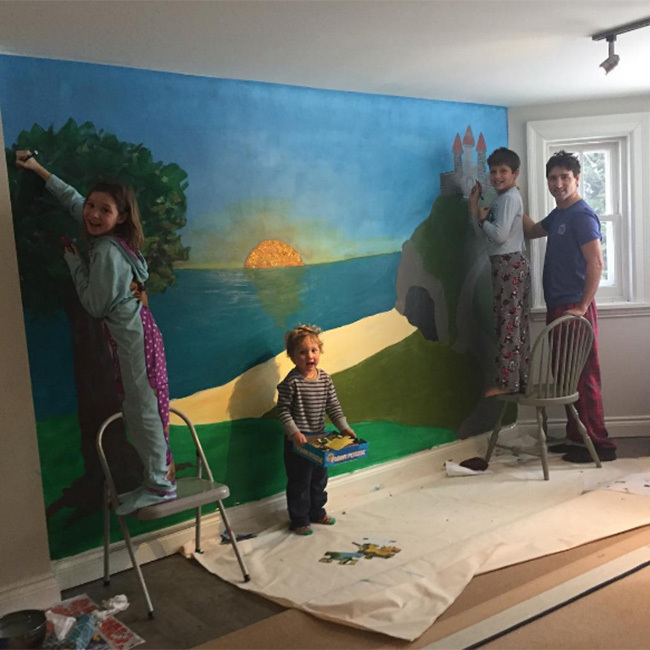 Justin Trudeau, in his sweats, helped his and Sophie’s three children Xavier, nine, Ella-Grace, eight, and three-year-old Hadrien paint a mural that featured a castle in their home. 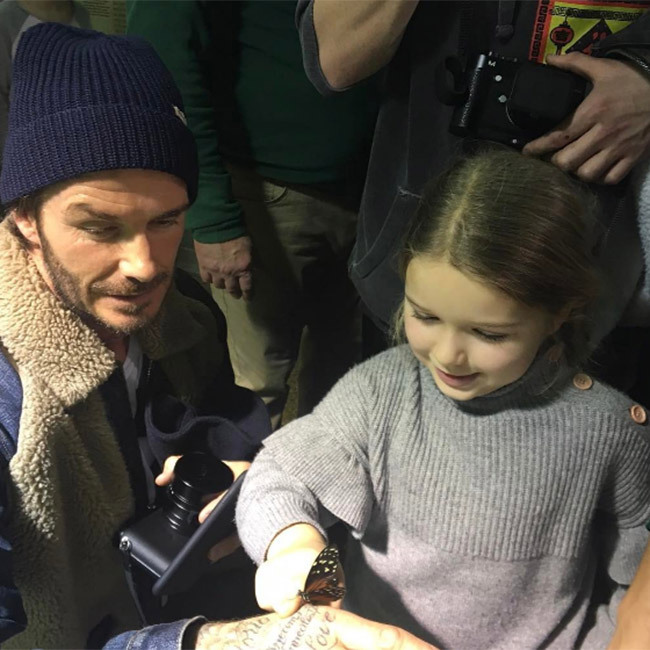 Katie Holmes’ daughter Suri Cruise has made a furry new friend! The youngster was seen cuddling up to a baby kangaroo, in a photo posted on Instagram by her proud mom. The ten-year-old was the picture of happiness while backstage at Good Morning America, cradling the joey in her arms and beaming down at the animal while Katie posed behind her daughter. 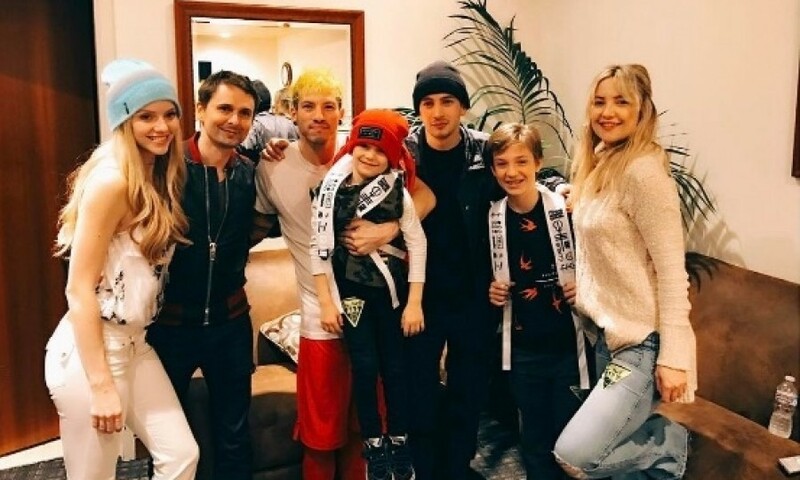 Kate Hudson and her ex Matt Bellamy surprised their son Bingham and his brother Ryder with the show of a lifetime. The actress posted a photo of her, the boys and Matt smiling around the band, Twenty One Pilots. 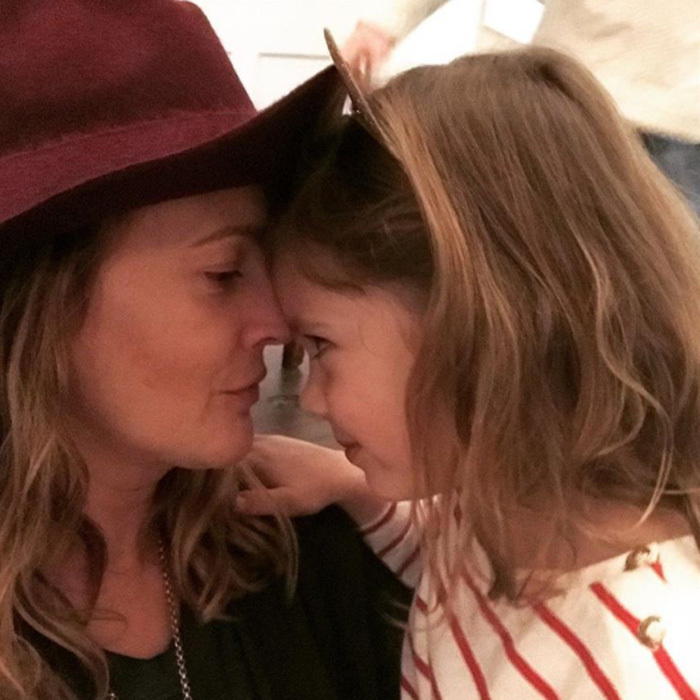 Will Kopelman enjoyed a date night in New York City with his and ex-wife Drew Barrymore’s daughters, Olive (left) and Frankie (right). 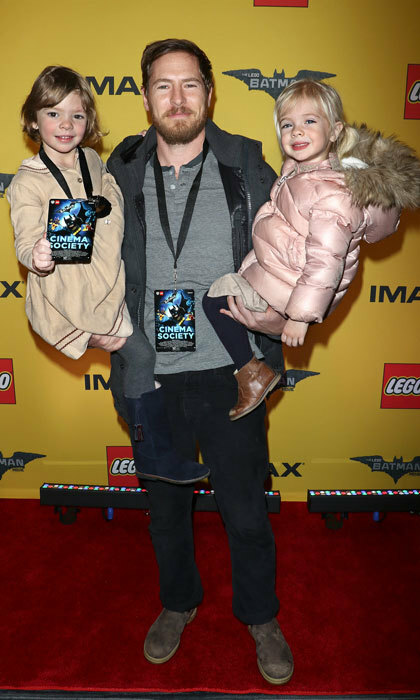 The trio were all smiles as they attended a screening for The Lego Batman Movie. 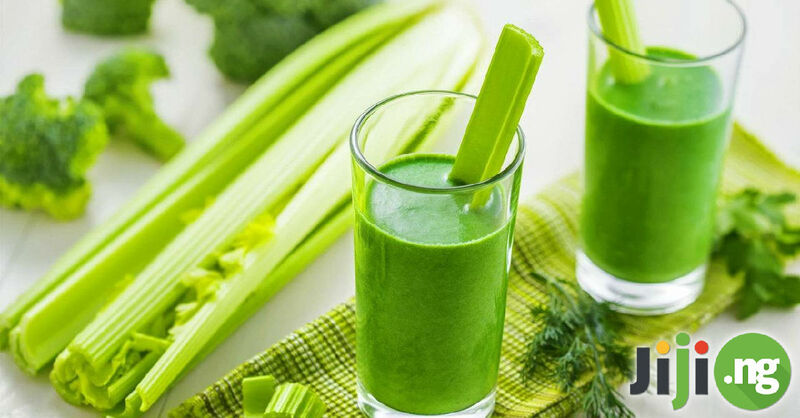 Supermen in training! 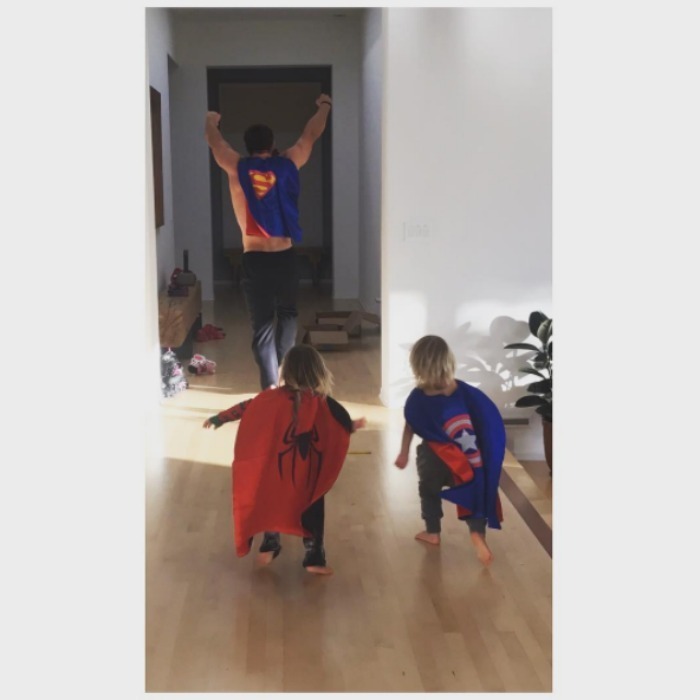 Chris Hemsworth and his twin boys Sasha and Tristan had a fun day at superhero camp. 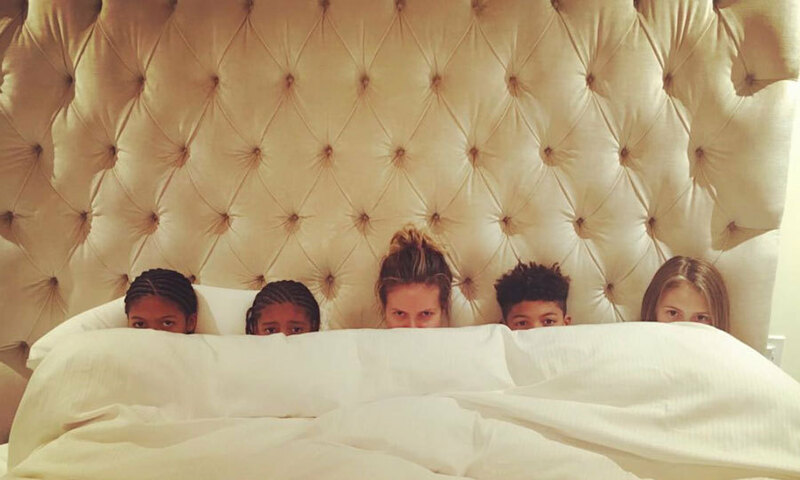 Heidi Klum looked snug as a bug in bed with her children, Helene, Henry, Johan and Lou. 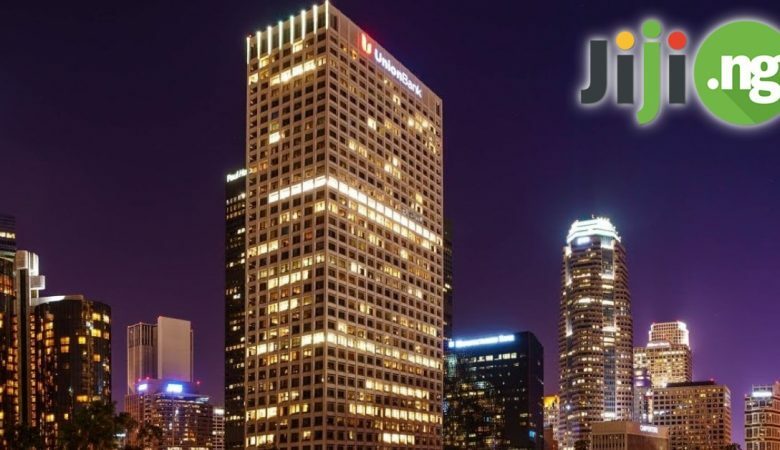 “Bed time. ZzzzZzzzZzzzz,” the model captioned the family photo. 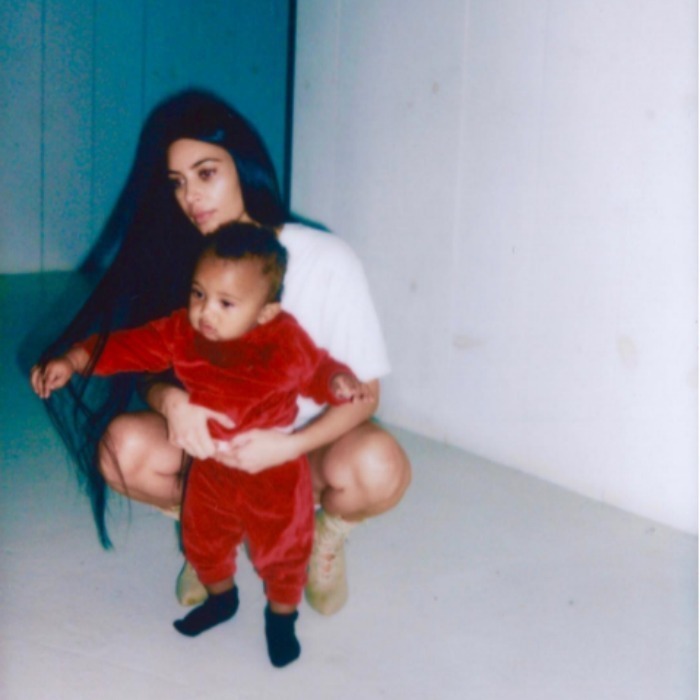 Kanye West showed off his paternal side in new photos released by his wife Kim Kardashian. 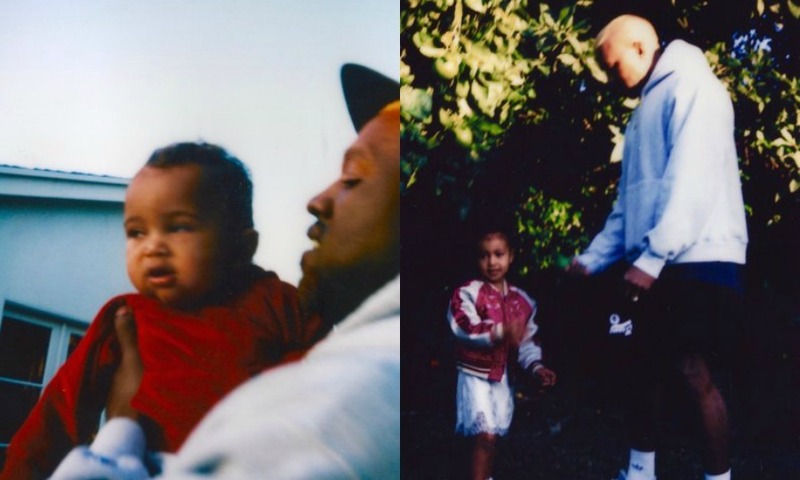 The rapper held his son Saint close in one photo, while he played outdoors with his stylish daughter North in another.